Experts that judge the Tech Titans awards in preparation of the gala. John Randall has more than 35 years of experience in nano-fabrication. 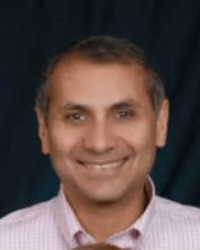 He is President of Zyvex Labs, Exec VP of NanoRetina, and Adjunct Faculty at UT Dallas. He joined Zyvex in March of 2001 and was instrumental in developing and spinning out two successful nanotechnology companies, Zyvex Technologies and Zyvex Instruments (now part of DCG Systems). Before Zyvex, Randall worked for 15 years at Texas Instruments where he worked in high-resolution processing for integrated circuits, MEMS, and quantum effect devices. Prior to working at TI, Randall worked at MIT’s Lincoln Laboratory on ion beam and x-ray lithography. He has 107 articles published in refereed journals. He has a BS, MS, and PhD all in electrical engineering from the University of Houston, where he was elected distinguished engineering alumni in 2010. 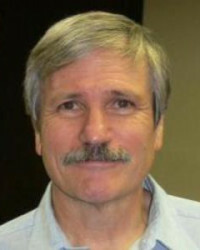 Randall was also elected distinguished member of the Technical Staff while at Texas Instruments, is a Fellow of the IEEE and a Fellow of the Society of the AVS. Tanis Cornell is CEO of EWF International, a leadership development company that increases representation of women in executive roles. EWF provides Peer Advisory Boards for female business owners and executives, training programs for up and coming women leaders, executive coaching and workshops. Previously, Tanis served in senior management positions in technology with Vice-President roles for telecom companies WilTel and Level 3 Communications. 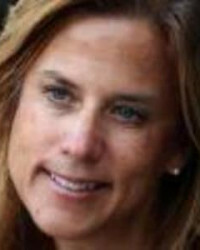 She was partner & Senior VP for software company PhaseWare, and led one of the largest strategic service provider relationships for NetApp, a Fortune 500 data management company. 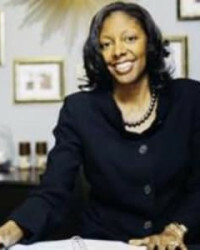 She currently serves on the Board of Directors for Tech Titans, Advisory Board of ATW (Alliance of Technology and Women), Business Advisory Council for Oklahoma Christian University and served several terms on the International Board of Sales & Marketing Executives International. Brenda drives the overall strategic direction by providing technology and product leadership that is redefining the value of the Telecommunications Industry Association (TIA). 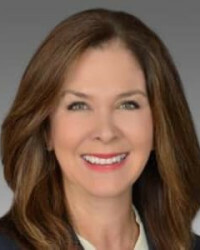 Brenda has held executive and board level positions with highly-successful technology companies from entrepreneurial start-ups, such as Starent Networks, to Fortune 100 leaders Cisco, Nortel, Alcatel-Lucent and Nokia. Brenda currently serves as the Tri-Chair of the Innovation Committee at Tech Titans. Her deep set of experiences and skills have equipped her with the market vision that recognizes how industry disruption can be harnessed to propel innovation, develop global markets and institutionalize operational success. 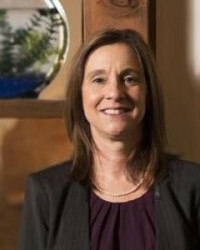 Brenda attended Stanford University’s Graduate School of Business Executive Program, holds a MS from SMU’s School of Engineering in Telecommunications and earned a BA in Computer Information Systems from the University of Louisiana. 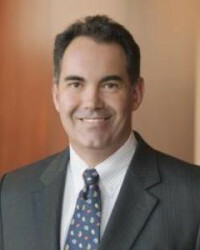 With more than 25 years of experience, Greg Carr practices the full spectrum of intellectual property law, including domestic and foreign matters and proceedings before federal courts throughout the U.S., the Trademark Trial and Appeal Board, and the Board of Patent Appeals and Interferences. 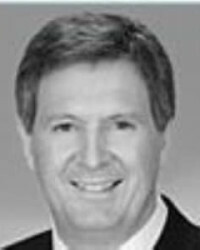 Greg formerly co-chaired the law student committee of the Dallas Association of Young Lawyers, which received the American Bar Association Award for Outstanding Contribution to Legal Profession in 1988. He is also adjunct professor of law and economics at Southern Methodist University and currently serves on the Board of Advisors for its Mechanical Engineering Department. A graduate of Leadership Dallas, Greg has served on the organization's Alumni Association Board of Directors and spearheaded its effort to build a pavilion and recreation area for the Bon Ton neighborhood, located near the Trinity River Corridor in southeastern Dallas. A dynamic technology ninja with more than 25 years of diverse technical and leadership experience – in defense, telecommunications, medical diagnostics, financial services, security, consumer products, e-commerce and beyond. Jack embodies that rare professional who can seamlessly move between different “sides” of the house: from technology to brand, operations to finance, ideation to execution. Hyacinth DeAlmeida is head of Ericsson’s M&A activities for its North American region, leading the region’s efforts to identify, evaluate, prioritize and execute external investment opportunities to support the region’s growth ambitions. He has more than 30 years of telecom industry experience in various functions including engineering, marketing, finance, business development, strategy and M&A. 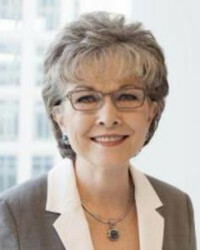 Prior to joining Ericsson, Hyacinth held various positions at Nortel Networks (including VP Corporate Development and President of Nortel Ventures LLC), SaskTel and Telecom Canada. Hyacinth has led the execution of more than 65 acquisitions, equity investments, venture capital fund investments, joint ventures, spin-outs, divestitures, and strategic commercial alliances, in transactions valued at over $15B. Hyacinth holds a bachelor’s degree in electrical engineering from the University of Alberta and an MBA from the University of Regina. Tricia D’Cruz is an experienced senior executive, strategy consultant, venture capitalist and board member. She has been a leader to growing high technology companies for over 30 years, with a track record of achieving accelerated growth. Tricia is co-founder at Catalyze Dallas, a venture development firm that starts and funds new companies to commercialize innovations sourced from the defense industry. 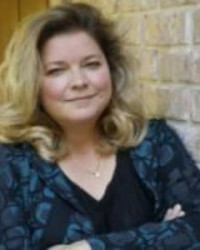 Prior to Catalyze, Tricia founded VectorPoint, a strategic growth consulting firm servicing early stage and mid-market technology companies in DFW. Tricia has held divisional P&L responsibility at global public companies including Tekelec and Siemens. She has also excelled at numerous early stage ventures including as EVP of Efficient Networks from early stage through successful IPO and exit. Robert FitzGerald is the Audit and Advisory practice leader for the Technology, Media & Telecommunications (TMT) industry group for Deloitte in North and Central Texas. In addition, Robert is responsible for overseeing service delivery to clients in the TMT industry group for Deloitte, where he has been a partner for more than 15 years. Stacie brings more than 15 years of experience in the medical and research technology arena to the table. Prior to Plexon, she has worked for industry giants including Medtronic and St. Jude Medical, as well as successful early stage and start-up companies, primarily in the cardiac, neurosurgical and wellness disciplines. Her geographic experience spans the globe, including having worked for several years in Europe. Ms. Hyatt earned her bachelor’s degree in bioengineering from Texas A&M University and an MBA with a triple focus in marketing, operations and health care from The Wharton School at the University of Pennsylvania. As a VP at GXA, Alicia is a key decision maker that serves as a problem solver and advocate for the organization. As the overseer and developer of human resource functions, Alicia’s responsibilities include interviewing, recruiting, hiring, and managing employees. She also assists in organizational development, personnel development, team building, employee management and planning. Alicia has volunteered her time in the community and with GXA’s global missionary outreaches and has traveled to countries such as South Africa, Kenya, Mexico and Swaziland. Locally, Alicia volunteers her time at universities and other organizations to help students and adults looking for employment. 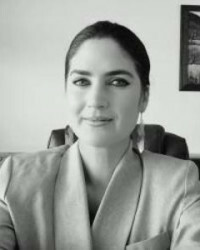 Alicia has a master’s degree in human resource management and a PhD in public affairs from UT Dallas. 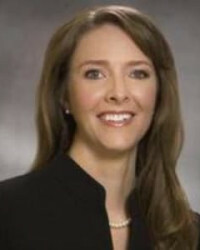 ShaChelle Devlin Manning is the director of innovation and enterprise integration for Pioneer Natural Resources, a large independent upstream and midstream oil and natural gas company. Manning is one of the co-founders of Malibu IQ, an investment partnership consisting of HRL Laboratories, commercializing the inventions of the more than 300 global leading scientists and technologists. Manning serves on the Texas Emerging Technology Fund Advisory Committee and formerly lead Texas’ nanotechnology strategic initiatives, resulting in $500M in investments and scaling of advanced technologies. focusing on high-technology solutions or services. Vance has over 25 years of experience working with technology companies in various stages, from emerging startup operations to well-established, multinational organizations. He began his career on the West Coast and spent 10 years in Seattle during the formative years of internet technologies working with clients such as RealNetworks and Starwave. In 1999, Vance moved to Texas, first arriving in Austin and then moving to Dallas in 2002. His specialties include advising companies with issues related to operations, mergers and acquisitions, financial reporting, internal controls, revenue recognition, business combinations, and share-based compensation. In addition, he has assisted companies through the process of initial public offerings and private equity buyouts. 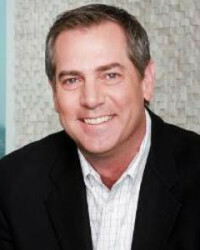 Vance holds a Bachelor of Science, Accounting from University of Southern California. Lin Nelson is a recognized innovator with +15 years of experience developing technology-based businesses, delivering fact-based analysis & leading operational strategies. Most recently she served as Market Development Advisor for IBM; consulting as a trusted advisor with senior leadership across IT services segments. Linda founded NelsonCFO, a consulting company that worked with early stage, tech-focused, venture-capital-backed companies in medical device, Biotech, IT hardware &software services. 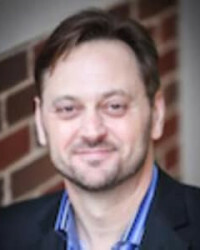 Nelson has served as an Adjunct at Babson College, teaching entrepreneurship. Nelson earned her BS in Finance from University of Texas-Arlington and an MBA with a focus in Entrepreneurship from Babson College in Wellesley, MA where she was the Price Babson Fellow for two years. 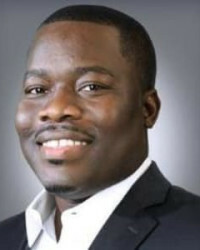 Andrew Olowu is chief technology officer at Axxess, a national leader in home health management software, and serves on its board of directors. Olowu is responsible for the overall technology, architecture and innovation of the Axxess platform. He recently was named the recipient of the Tech Titans Corporate CTO Award for his exceptional technical leadership, which fosters the development of new technology and innovations, resulting in significant value for both Axxess and the healthcare industry. Dustin is a partner at PwC focused on helping clients address risk, governance and compliance through the use of technology and analytics. He has worked with some of the largest and most innovative technology companies in the world while living in New York, London, and Tokyo. Paola Saibene is the CEO of TXYSAI, a technology consulting company. She has 22 years of IT-practitioner experience, having held multiple C-level roles in multi-billion dollar organizations. Paola blends her technology experience with her psychology and literature post-graduate degrees, bringing an ecosystem approach to the evolving digital era. 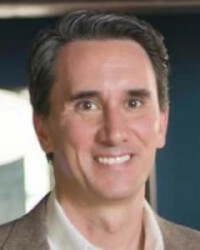 Hubert Zajicek, MD, MBA, is CEO & co-founder of Health Wildcatters, a healthcare seed fund and accelerator in Dallas. Dr. Zajicek has extensive experience with startups and is an active speaker, panelist and thought leader on healthcare innovation, startups, entrepreneurship & financing. He serves as advisor, mentor and board member on various organizations and startup companies. He was managing director – medical technology at NTEC (North Texas Enterprise Center), where he ran what eventually became the Southwest’s largest medtech investment conference, showcasing startups that attracted in excess of $300M. He is president and founder of the Society of Physician Entrepreneurs – DFW chapter, co-founder & partner of Lone Star Angels and is on the Board of the Southwest Venture Forum. He has an MD from the University of Vienna and an MBA from SMU.